Tissue/Sheet masks are the latest type of masks which are growing ever popular on the beauty market. Recently I got the chance to try out a set of masks from Beauty Pro. A sheet mask is a cloth or paper saturated in skin-loving ingredients that’s left over your face for 10-15 minutes so your skin can absorb its fill of the good stuff. There are handy cutouts for your nose, eyes and mouth so you don’t feel as though your suffocating! The first mask which I tried out was the Collagen Sheet Mask : REJUVENATING with Green Tea extract. Green tea is a wonderful ingredient. It is an anti oxidant, anti bacterial and it improves oily and dry conditions in the skin while it also works on any redness. 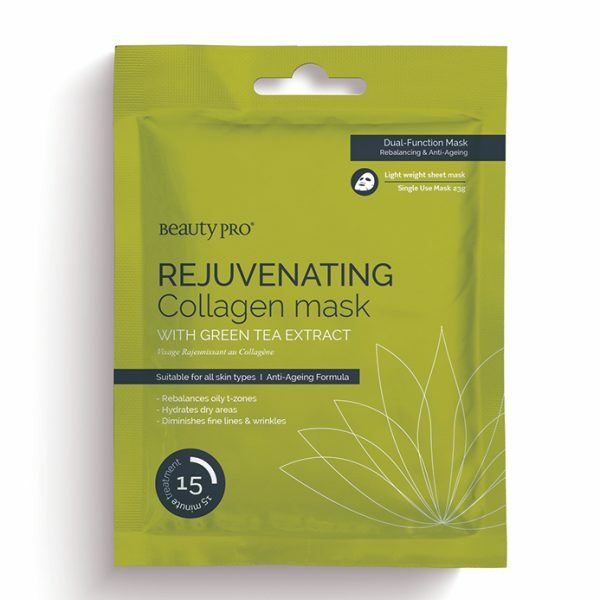 Green tea also protects the skin against any further skin damage which leaves the skin soft supple and glowing after using the mask. The mask uses marine collagen to improve the skin tone and complexion. It also has an anti ageing effect on the skin. These types of masks are perfect to pop on an hour before a night out. So down to the nitty gritty, how do ya use it? Cleanse the skin as normal, remove the mask from packaging, unfold and place on the face, wear the mask for 15 - 20 mins and then remove the mask. Rub any remaining serum into the skin. Below is a picture of me after the mask has been removed. Doesn't my skin look fab following the mask. These masks are available from Beauty Belle and they are €5.83. Buy them here http://www.beautybelle.ie Incredible value, they are so easy to use, all you do is unfold from the package, and apply. There is no mess no cleaning up. Once the time has elapsed remove the mask and then rub in any excess serum to help enhance the effects. 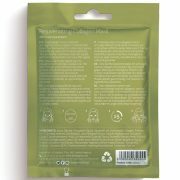 Following the mask my skin feel rehydrated, any lines and wrinkles had dissappeared and my complexion looked brighter.